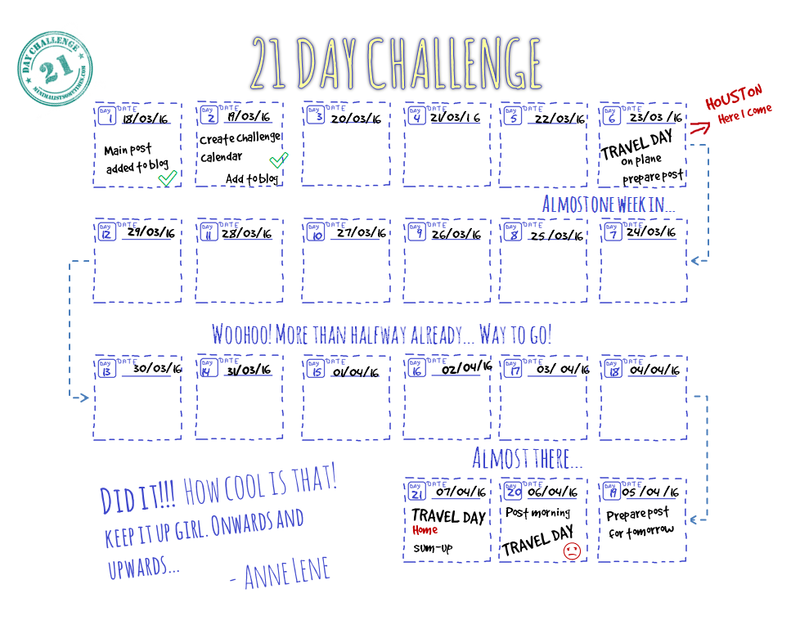 You’ve been wondering how I did with my 21 day challenge? I did really well.. in the beginning! But then my Houston trip caught up with me. I guess I should have known better! 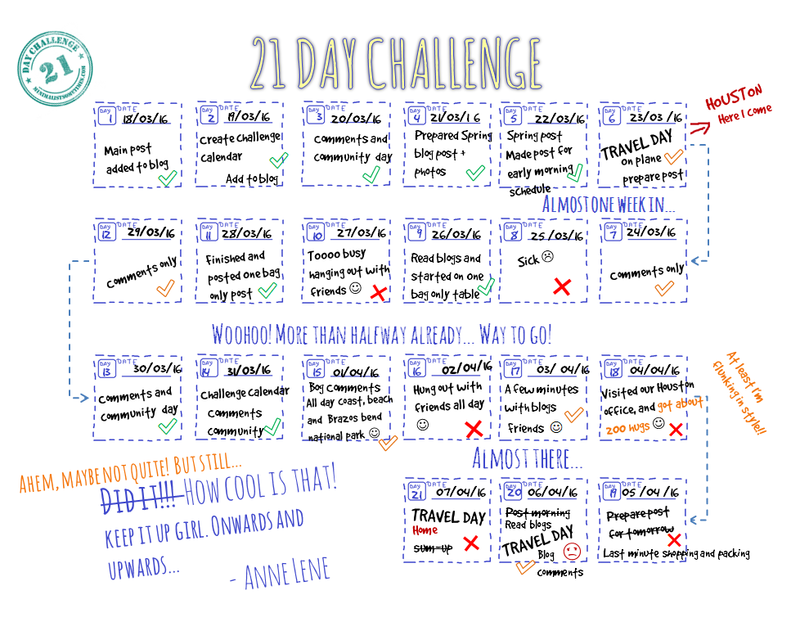 Doing a 21 day challenge at the same time as I was in Houston… Talk about setting myself up! Even though, this time around, I didn’t make a lot of plans for my trip. I didn’t make a lot of appointments up front. I didn’t fill my schedule like crazy like I normally do. But even so… all I needed to do was show up in town, and the next thing I knew, was that my calendar was filled with lunches, movies, dinners and trips down the coast.. You name it, it got on my calendar 😎 and I loved it! I love hanging out with my friends, who wouldn’t? I’ve got great friends. So there we have it! My 21 day challenge pretty much went down the drain, in favour of me hanging out with my friends 😘. So there you have it, an accountability calendar 🙂 Dang it.. did I just commit myself? I’ve been having a bit of a turbulent relationship with my blog for a while. I’ve been on again, off again, on again, off again! It’s not that I don’t spend time thinking about articles to write, I do… Almost every night when I go to bed, my brains runneth off with stuff I would like to write about. But what often happens, when I wake up in the morning, is that I realize, that once again.. I’m not going to get it done. Either because I have to rush off to early treatment appointments (and treatment days are a bust) or I’m waking up with a blistering headache which sadly means no “life” that day. Enough of these days in a row, and you kinda “give up” on the blog stuff. It’s time to put my pen to the paper.. or rather my fingers to the keyboard. It’s amazing how quickly you fall out of the habit of writing, and I was thinking (well hoping actually) that maybe it’s just as “easy” to get back into the writing again? Throw a little elbow grease into it, and maybe it will come back? There is a “myth” out there that says: It takes 21 days to form a habit! 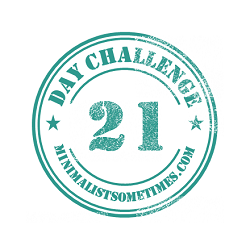 To get back into my blogging world, I’ve decided to give myself a 21 day challenge! So here goes! For the next 21 days I will be spending at least 1 hour every day on blog related tasks. That would be writing blog posts (yes several), catching up with other bloggers, making and answering comments, checking out new blogs. In general the things that I need to do, to get back into a good blogging rhythm. One hour every day, for 21 days. I know this doesn’t sound too challenging.. but come Wednesday, I’m leaving for Houston to hang out with friends I haven’t seen for a long time. A trip filled with, visiting, hanging out, going to shows and movies, sleepovers, dining out, and off course, “copious” amount of frozen margarita 🙂 If can successfully keep up with my 21 day challenge through all that, well that just have to change my non blogging habit somewhat! As this is a spur of the moment challenge on my part, and I have not prepared at all (I figured I should just jump right in, as planning would probably stop me in my tracks… again) I would love any help you would like to give me on the way 🙂 Suggestions on how I should organize my time, blogs I should catch up on, things to write… any and all suggestions are highly appreciated. So let’s get to it 🙂 The challenge starts NOW!